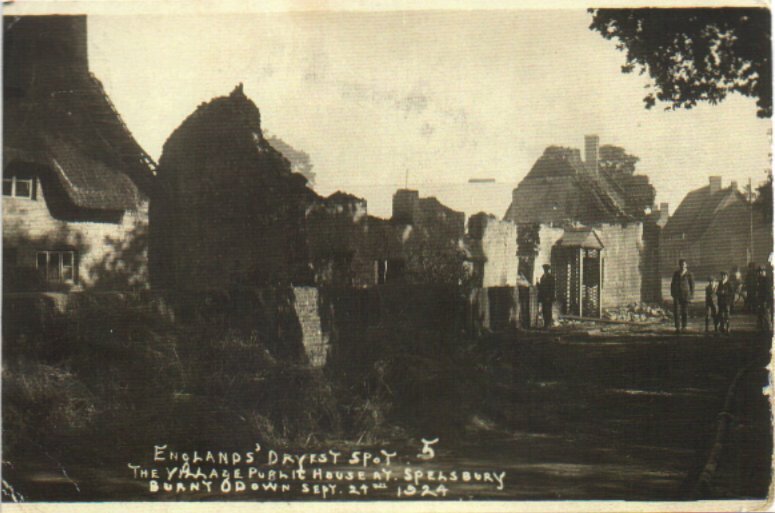 Photographer Frank Packer of Chipping Norton wrote in his scrapbook ‘Left CN at 8.15, went to Spelsbury, back to CN, developed and enlarged prints’, the prints were sent by train from Charlbury to London and appeared in the Daily Sketch the next day. The log book and Frank Packer’s scrapbook can be seen at Chipping Norton Museum with several of the original prints. 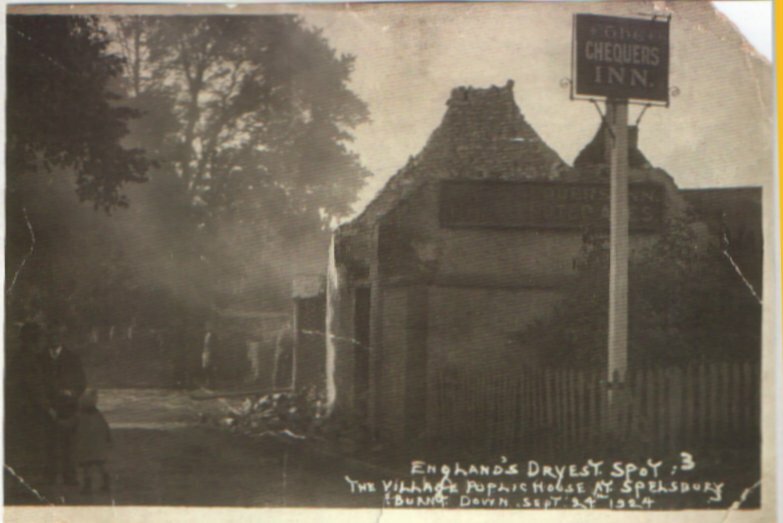 The pub stood in the gap between 2 and 3 Church Lane; the small field behind is still known as Chequers. In September 2004 a pub-for-a-day in the Memorial Hall commemorated the 80th anniversary loss of the pub.